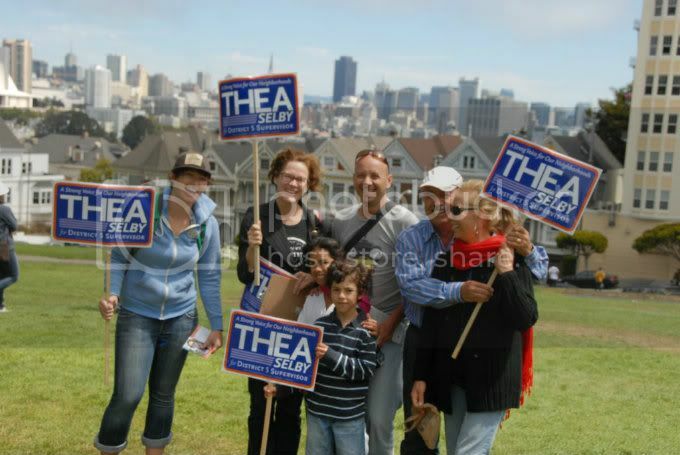 We had a great weekend out on the campaign trail! 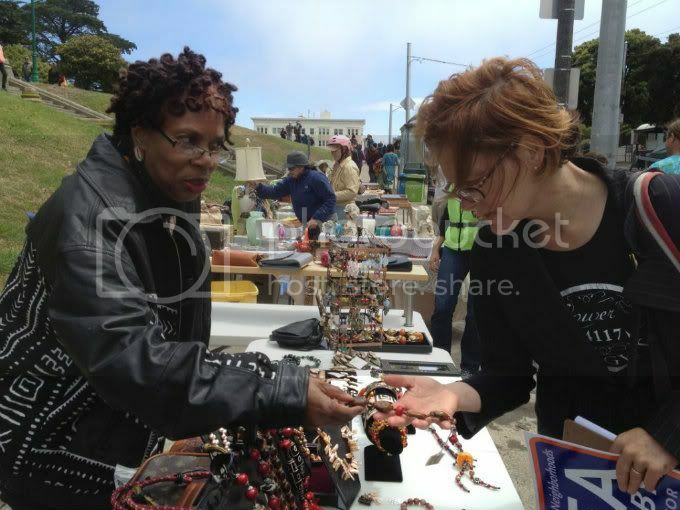 After kicking off with our official move into our campaign HQ on Friday, we went to check out the anual Alamo Square Flea Market. 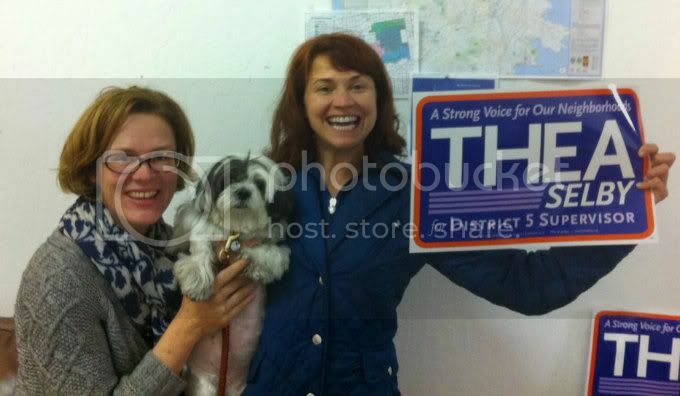 And perhaps most exciting of all, Thea is the first candidate officially endorsed by San Francisco dog, Nina Schmoe! All in all a great weekend. We would love to see you in the coming weeks and hope that you can join us for our Dancing for a Change FUNdraiser at Vinyl Wine Bar this Tuesday at 7:00pm. As always, if you want to chat, discuss District 5 or City-wide interests, want to meet a new and adorable pup (or cat- we love those too), or if you are interested in joining us on other fun adventures such as this, please feel free to contact us! Hope to see you while we dance and shake our way into September. PS: Have you seen our campaign video yet? It's getting rave reviews!